Nice, eh? And, wait’ll you taste it! Shortcrust is really just another type of pie dough – tho’ with a sort of high (1:2) ratio of fat to flour. 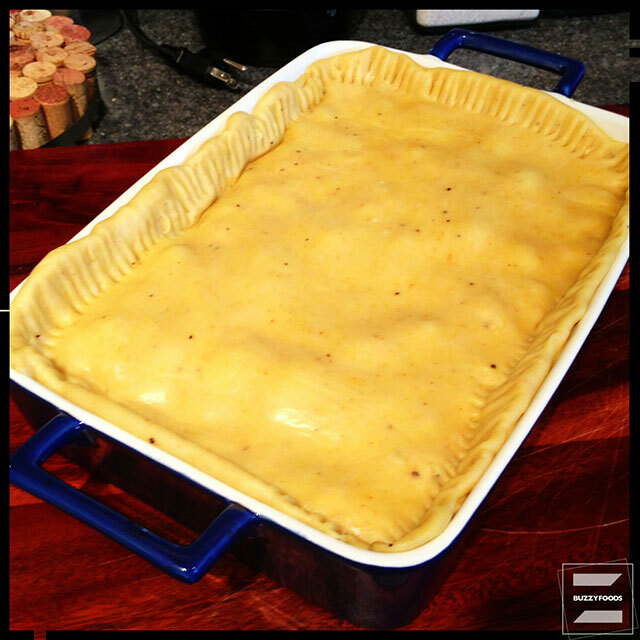 This shortcrust recipe, based on a truly vile appetizer recipe from the Two Fat Ladies, makes for a truly fine crust for your Sunday brunch quiches, or, as shown here, as the topping for a very nice chicken pie. A ‘sweet’ version – pâte à foncer – is perfect for fruit pies or a galette. Note: if you want to try this pastry, but are cutting back on dairy, you can always substitute shortening for the butter – just be sure to chill it – and mebbe try adding a dab of nice Dijon mustard to replace the cheese. 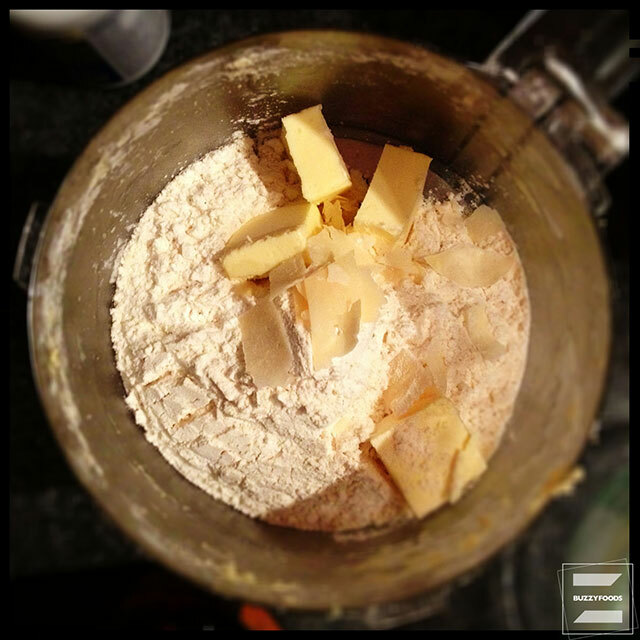 Add the flour together, the salt, Cayenne and black pepper, and the cheese to the bowl of your food processor fitted with the metal blade. 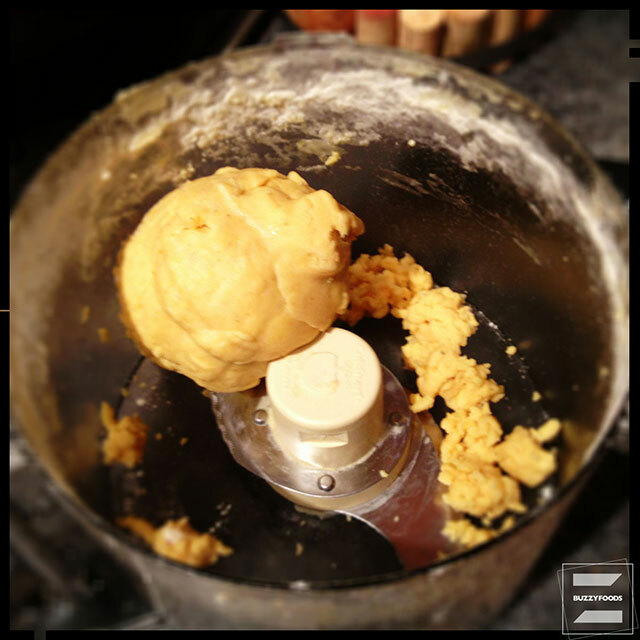 Give the flour mixture a good couple of pulses, then add the butter and pulse until you have a coarse meal texture. 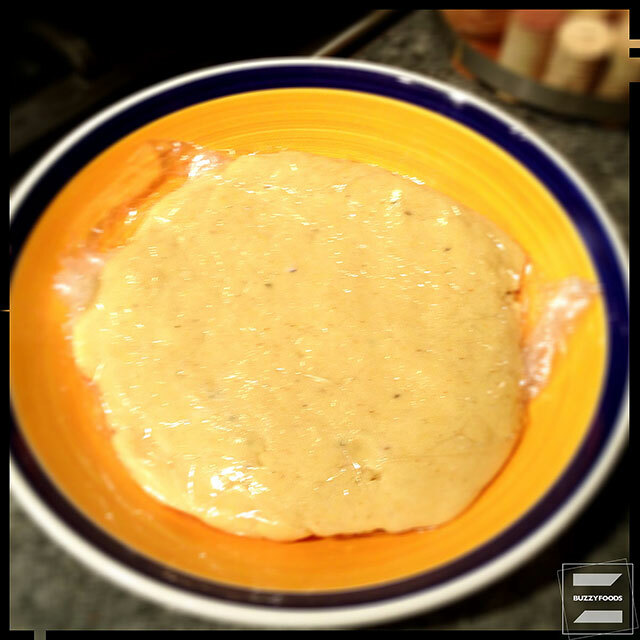 Add the egg yolk and process to a soft dough, adding ice-cold water by spoonfuls if needed to draw the dough together – I added about 3 tablespoons. Gather the dough together into a ball, wrap it in plastic, then smash it down into a thick disk (trust me, it makes life easier later) and stash it in the fridge for 30 minutes to an hour (if your schedule is difficult, longer won’t hurt – I usually make mine the day before I plan to use it). When you are ready to use the dough, remove it from the fridge and allow it to soften a bit before rolling out – this is where shaping it into a disk comes in handy. 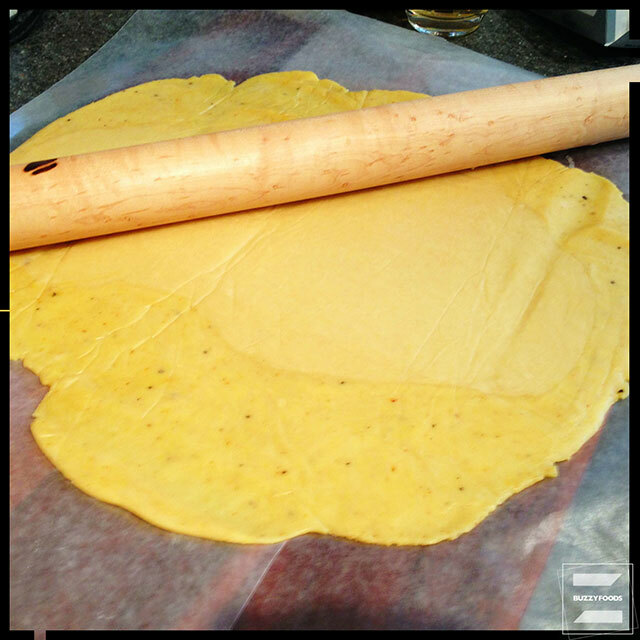 I find that I get my best results by lining a damp board with wax paper, then placing the dough in the center and topping it with more wax paper before rolling – it also makes transferring the rolled dough to your baking vessel of choice a lot easier. which will be Monday’s post, I think. However, if you really cannot wait to try this lovely bit of flour, cheese, and fat, might I suggest a quiche? Ham is nice, and bacon is always a good choice; or you could mix things up and try your own favorite fillings – sautéed onion and mushroom with a bit of Boursin was always one of my faves. 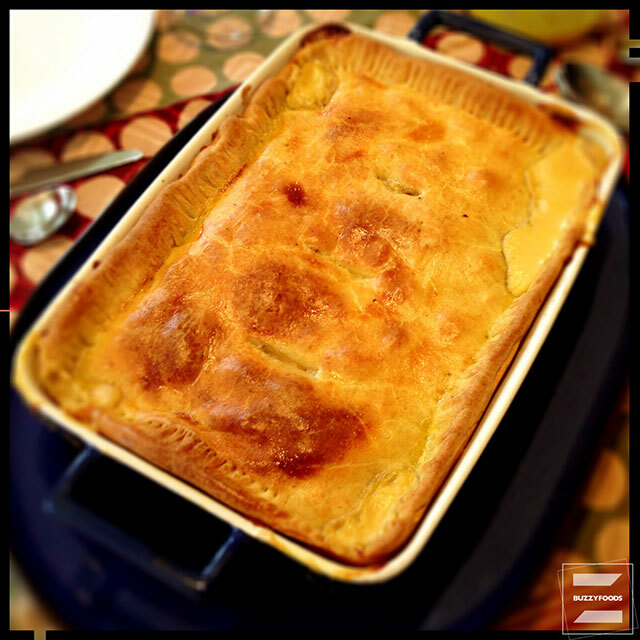 It’s all good, and this chicken pie? Mebbe better. This entry was posted in Bread/Pastry, Parfait! and tagged Parfait!, Pastry, Pie Dough, Quiche Dough, Savory Shortcrust, Shortcrust, Shortcrust Pastry, Tart Dough. Bookmark the permalink.